& Mary Ann Gadd, and William Rowley & Ann Jewell. This is my father and mother . This is a link to their page. This is a link to their page on my site. 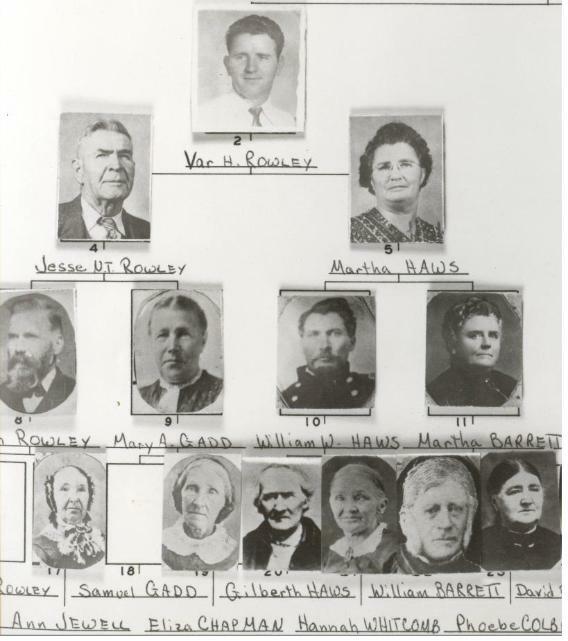 children to USA in 1856 and traveled to Utah in the Willie Handcart Company. pictures and information in this slide show. John Rowley was born 1841, in England. John married Mary Ann Gadd, in 1864. They had 12 children. They moved to Mexico, where John died 1893.
children. She died. 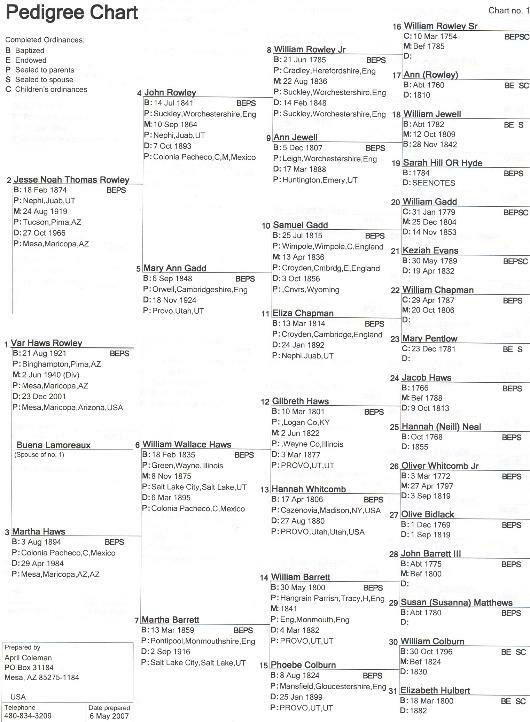 Jesse married Martha Haws, 1819, in Tucson. They had ten children. Jesse died 1966 in Mesa, Arizona. William Rowley to Var in a slide show.